We provide ultra-modern Powered Pedestrian 4-Way Stacker in the market. 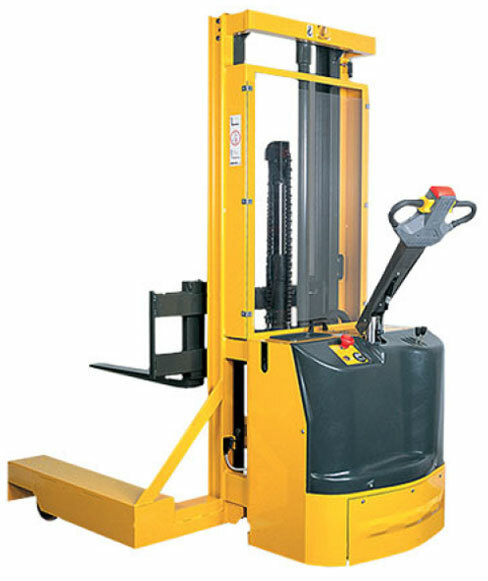 This Powered Pedestrian 4-Way Stacker is a highly cost effective alternative to a traditional ride-on side loader, narrow aisle or four-way forklift truck. The Powered Pedestrian 4-Way Stacker is designed to handle long and awkward loads efficiently and safely through narrow doorways and corridors into and within the factory. Highly maneuverableâ��loads are transported, handled and stored in the most efficient space saving possible. All models roller or rail guided to minimize width of stacking aisles, making duty cycles faster and protecting products and the working environment.